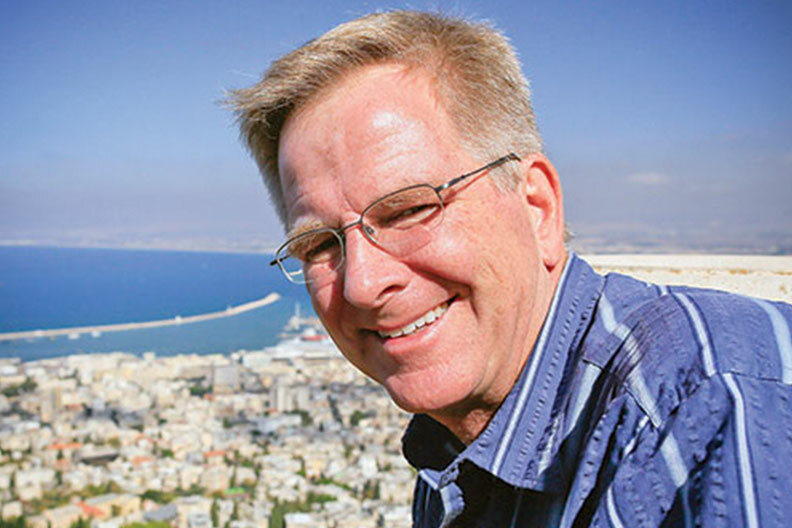 Travel expert Rick Steves, best known as the host of the acclaimed PBS television series Rick Steves’ Europe and the author of several bestselling guidebooks, will present Travel as a Political Act on March 2, part of the Roland Quest Lecture Series at Elmhurst College. Steves believes there is more to travel than good-value hotels, great art and fine cuisine. Americans who “travel as a political act” can have the time of their lives and come home with a better understanding of the interconnectedness of today’s world. In a slideshow lecture drawing on lessons learned while exploring Europe, Central America, Asia and the Middle East, Steves will talk about the transformational power of travel, and how to travel thoughtfully and gain a broader perspective. The event will begin with a book-signing at 3:30 p.m., followed at 4:30 p.m. by the lecture on Friday, March 2, in Hammerschmidt Memorial Chapel. Steves will sign copies of the latest edition of his book Travel as a Political Act, which will be available for purchase. Admission is $10 for the general public and free for Elmhurst College students, faculty, staff and alumni. For more information, call (630) 617-5186.